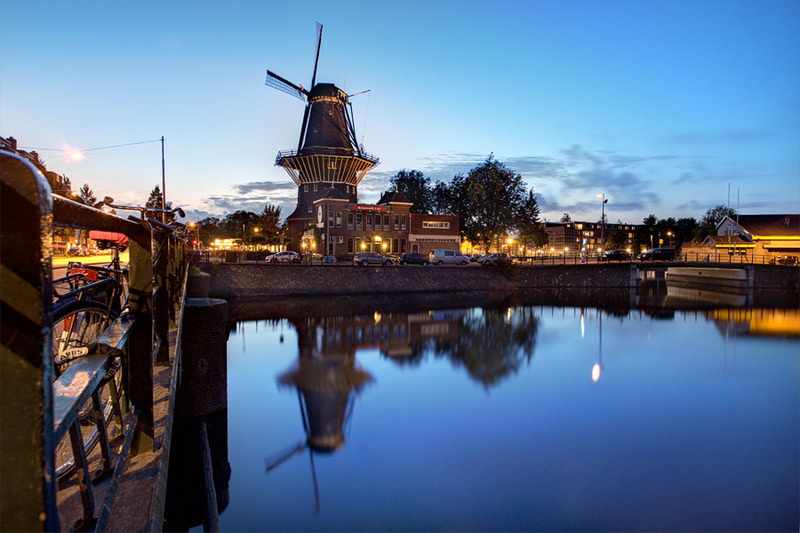 De gooyer windmill in Amsterdam, Holland. What best than a windmill in The netherlands ? Yes, but what about a place that also hosts a pub with fresh beer ? Well here we are, the \"Brouwerij \'t IJ\" pub is in the basement of this windmill. It is a nice local pub with tasty dutch beverages. And it was also on our way to the place where we stayed : a houseboat in the nearby canal.